How Does Brain Cooling Relate to Medical Malpractice and Patient Safety? June 8, 2016 /0 Comments/in Hypoxic Ischemic Encephalopathy (HIE) /by Reiter & Walsh, P.C. Brain cooling is a procedure that treats hypoxic-ischemic encephalopathy (HIE), which is a neonatal brain injury often caused by medical mistakes. Medical mistakes are a patient safety problem – they often can be prevented, but when proper care is not provided, patients are harmed. It is the duty of medical practitioners to prevent errors from occurring – if they do something that causes the patient harm, it falls squarely into the category of medical malpractice. On this page, our HIE attorneys will discuss how hypothermia therapy (brain cooling) relates to medical malpractice and patient safety. Patients are sometimes unaware that hospitals are graded based on how well they are able to keep patients safe – be it from medical mistakes, injuries, accidents or infections. The Hospital Safety Score website (as well as the Consumer Reports website) allows patients to view safety scores for hospitals across the United States. How Do Hospital Safety Criteria Relate to the NICU? While patient safety scores do not directly measure or estimate the likelihood that a child will have a birth injury, it is important to remember that preventing injury is one of the components of patient safety – hospitals with poor safety records have demonstrated that they may be struggling with one or more considerations in keeping patients safe as a whole. Safety is even more important in the fragile population of NICU babies; this means that hospitals must be especially vigilant in their care of this vulnerable population. The Hospital Safety Score system is a wakeup call to physicians and hospitals nationwide that more needs to be done about patient safety – including the neonatal population. Hospital safety scores measure several criteria that are important in all areas of patient care. This means that – although these measures do not take into account NICU procedure specifically – the information they measure is still applicable to pinpointing areas of improvement that hospitals can work on. How Does Patient Safety Relate to Birth Injuries and HIE? Babies in the NICU can often be at risk for injuries and infections, especially when they are intubated or on a ventilator. These infections can be especially dangerous for babies, as infections can lead to sepsis or meningitis, which can cause brain damage, developmental delays, cognitive impairments, and seizures. They can also be susceptible to pneumothorax (collapsed lung) if they are not properly ventilated or if the system is inserted improperly. This improper insertion can lead to low blood oxygen levels, which in turn can cause HIE, cerebral palsy and brain damage. Trauma can also be a problem during the birth and delivery process. Difficult births can sometimes prompt medical staff to use forceps or vacuum extractors, which – when improperly used- can cause hemorrhaging and HIE that results in cerebral palsy and developmental disabilities. The most recent hospital safety data available (from 2015) shows that only 26 of Michigan’s 80 listed hospitals are ranked at an ‘A’ rating, on a scale from A-F. The vast majority rate at a C level, though hospitals ranking at an ‘A’ or ‘B’ make up just under half of the tested cohort. Ohio safety scores were predominantly in the ‘A’ range, with more than 40% scoring an A; an additional 24% scored at the ‘B–level. Unfortunately, although Washington, D.C. is a very small district with only six hospitals, none of them scored above a C – indeed, when rankings were tabulated against each other, Washington, D.C. ranked only one spot from the very bottom. What Criteria Does Hospital Safety Score Measure? Computerized Physician Order Entry (CPOE) – Is the hospital progressing towards using a computerized data entry system? Is the system they are implementing effective in alerting prescriber to medication errors (like drug interactions and drug-allergy interactions)? ICU Physician Staffing – How well is the hospital’s ICU staffed with intensivists? Hospital Consumer Assessment of Healthcare Providers and Systems) Survey, (Hospital CAHPS) – Are patients satisfied with their care and the information they are given in the following areas? How Can Legal Action Help Children with HIE Impacted by Unsafe Hospital Settings? Children with hypoxic-ischemic encephalopathy (HIE) can sometimes require round-the-clock care, as well as specialized services, equipment, and education. It can be difficult for parents to pay for these necessary and critical services. 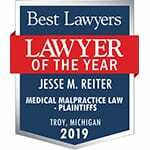 Because these preventable injuries can be caused by medical errors, the brain cooling attorneys at Reiter & Walsh P.C. take the stance that doctors should be held accountable for their errors – if a child suffers a brain injury due to a medical staff member’s negligence, that individual and the hospital that provided care should be held accountable for the outcomes of that care. Hiring a birth injury attorney serves two purposes: (1) it allows the parents of children with birth injuries to secure the care that their children need to live as full a life as possible, and (2) it allows parents to seek a way to keep doctors accountable for their mistakes. Feel free to reach out to the HIE attorneys at ABC Law Centers for a free case evaluation. We will never charge any fees until you win your case. We pride ourselves on our transparency and individualized attention for all of our clients. 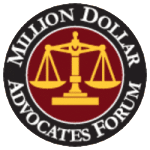 If you are interested in learning more about the legal process before contacting us, please review our page on the legal process. Michigan Hospitals: Who’s the Best? Who Needs Improvement?